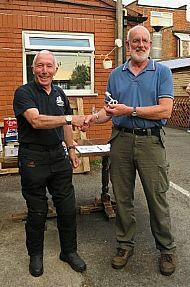 Dave Lee was re-elected as Chairman. Les Carter was re-elected as Secretary/Treasurer. Stewart McCarthy was re-elected to continue as Committee Member. Dave Dawson (in his absence) was re-elected to continue as Committee Member. Income exceeded expenditure by £24.88 in the year. 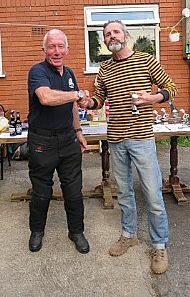 Concours raffle made £112 (£122 last year). No raffle prizes had to be purchased thanks to members and Carrot Cycles for their generous donations. Concours badge sales courtesy of Carrot Cycles made £4. 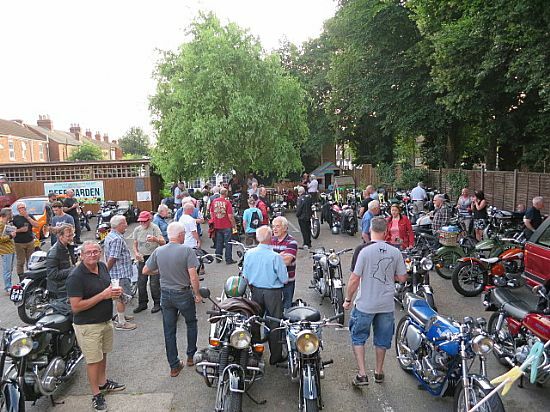 2019 BMF affiliation subscription was £160. Website annual costs were £54. Printing, stationery and postage costs were £15.22 for the year. Club membership subscriptions remain at £7 single & £10 joint. 39 memberships were taken out during the year (highest for 6 years). 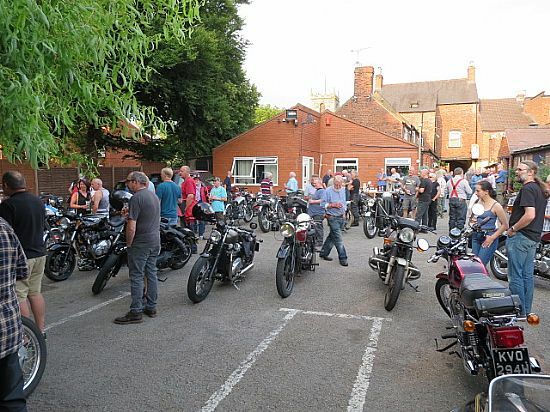 The May ride out has been changed to the Wheatsheaf at Louth and October to the Bromley at Fiskerton, Notts. 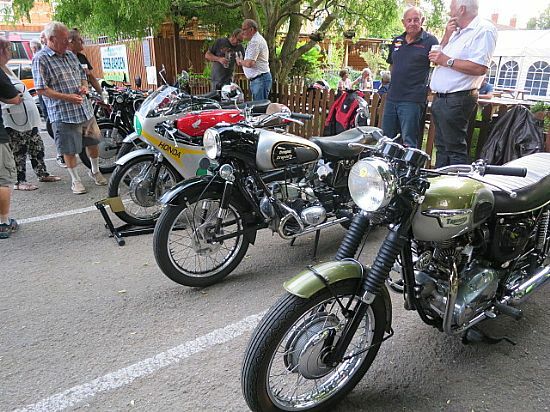 Eligibility for concours judging was changed from pre 1986 motorcycles to those which are in the ‘Historic’ taxation class (40 years old). 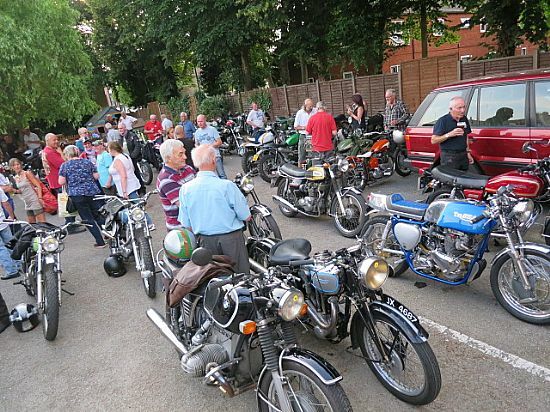 As in the past any motorcycle can be displayed but only those in the ‘Historic’ taxation class will be numbered up for judging. The proposal was accepted with 18 members voting in favour. New Club Logo for Teeshirts etc. County Cups, based new RWH Motorcycles at Pelham Bridge can now embroider the new log onto teeshirts, polo shirts and sweatshirts. If yoiu are interested just call in and choose a garment and they will embroider the logo on for you. Sweatshirts and poloshirts cosy a[[proc £21 and teeshirst £12 with the logo embroidered on. 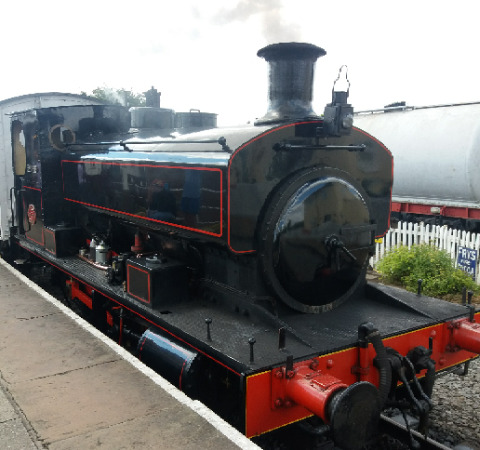 Thanks Pete Snowden for leading this ride out to the Lincolnshire Wolds Railway at Ludboorugh. The weather was great and the routes there and back were a treat. 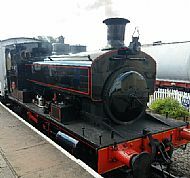 Eight members turned out for the ride and enjoyed a ride of a steam hauled train and lunch at the cafe. Thanks to everyone that made the years Concours so successful. 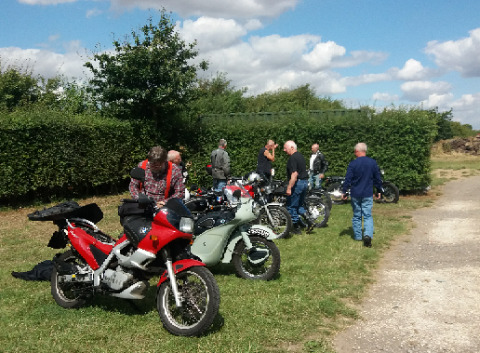 We had a record number of motorcycles on show, over 50 in total with 41 marked up for voting and around 150 people present. 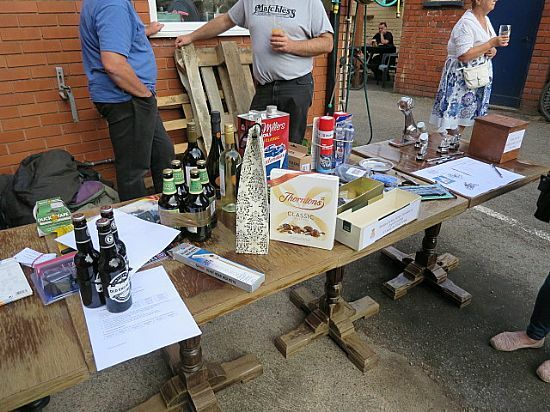 The raffle made £112 thanks to everyone for their donations especially Carrot Cycles and Andy & Debs for ticket selling. 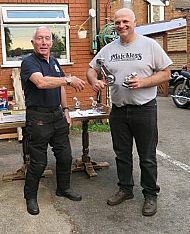 2nd 1925 Matchless L5 - Dave Pearson Also winning the Best Club Motorcycle for the 2nd year running. 2nd 1925 Matchless L5 - Dave Pearson & Best Club Motorcycle for the 2nd year running.